Microsoft Surface Pro 3 was facing battery issues for the past year. Mostly, Surface Pro 3 device batteries from suppliers Simpl0 and LGC facing this problem. 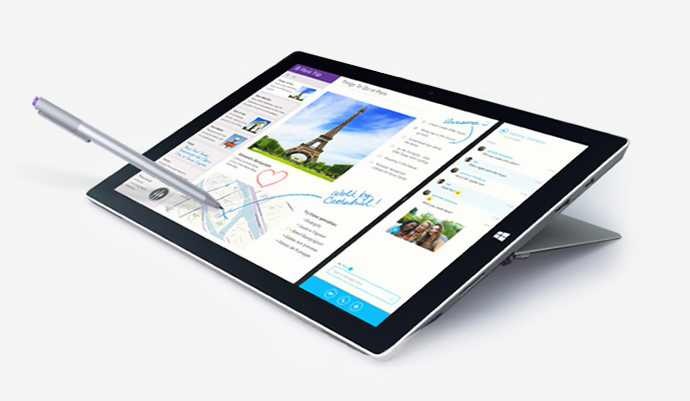 Microsoft released new firmware update for Surface pro 3 devices to fix this issues. According to Microsoft, the battery issue with the Surface Pro 3 was due to the firmware. Surface was misreporting the battery capacity to the system, preventing it from fully charging and therefore leading to perceived short battery life. The new update fixed all this issues. After a series of charge and discharge sequences, your Surface should eventually return back to normal. Surface Pro Embedded Controller Firmware v38.11.50.0 corrects an error that may occur on a limited number of Surface Pro 3 devices where the full charge capacity of the battery is misreported to the operating system and device firmware. This update corrects the firmware component that functions as a “fuel gauge” so that the battery capacity is accurately reported. To download new firmware go to Settings > Update & Security > Windows Update > Check for updates.